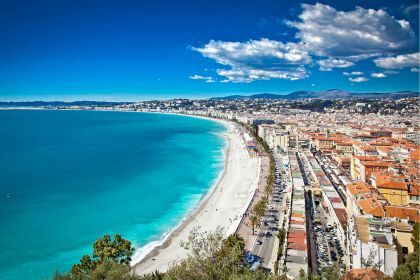 Call us or contact us here and an Abberley broker will make sure all the details are covered so you enjoy a perfect yachting experience in Nice and Cote D'Azur. Luxury yachts and Nice belong together like summer and sun. 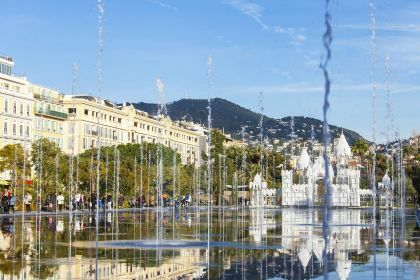 With a port that can accommodate yachts of up to 200 metres and a vibrant town centre just minutes from the quay, Nice has long been considered the French Riviera’s top yachting destination. Just picture this: your yacht glides into Port Limpia and moors at the marina, the pastel-coloured buildings glowing in the afternoon light. You are surrounded by crystalline water and the air is balmy, stirred by a gentle breeze. 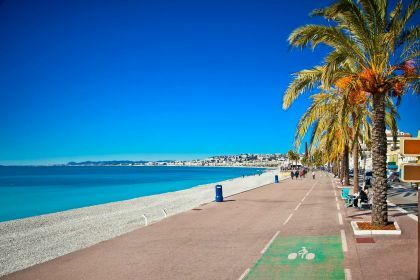 You step onto the quay and are soon strolling along Promenade des Anglais, one of the most picturesque streets in the world. And you count yourself lucky for having chosen a yachting vacation, which makes accessing these pockets of beauty so easy. Sophisticated Nice knows how to cater for those who enjoy life’s finer things. Chic women sashay in high heels, convertibles zip through the streets, boutiques sell one-off designs and restaurants serve sublime meals – all against a backdrop of sparkling sea and a marina packed with gleaming yachts. Go for a round of golf at one of the city’s numerous golf clubs – the Golf Country Club de Nice is a good choice. If you fancy showing off your equestrian skills, try horseback riding at one of the many centres in and around the city, including the stylish Club Hippique de Nice. You can’t visit Nice without indulging in a spot of shopping. Avenue Jean Medecin has dozens of boutiques selling designer clothes and accessories, while Galeries Lafayette will fulfil all your shopping desires. Like other French destinations, Nice offers top haute cuisine experiences. The Michelin-starred Le Chantecler in Hotel Negresco features Provence-style gourmet dining prepared by big-name international chefs, served in a restaurant whose décor is as lavish and rich as the food. Other excellent options are the Olive et Artichaut, with its fine meats and delicious desserts; the Michelin-starred Aphrodite, which specialises in molecular cuisine; La P’tite Cocotte, renowned for its foie gras with date fruit sauce; La Route du Miam, with its signature duck dish; and Le Sejour Café, a tiny, elegant treasure. 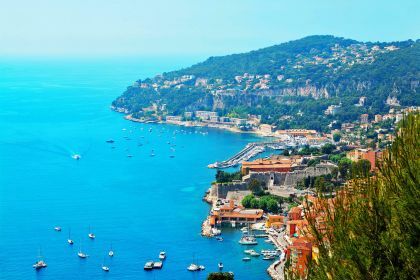 After a luxury yachting vacation in Nice, you will have bragging rights in any company. Call us or contact us here and an Abberley broker will make sure all the details are covered.